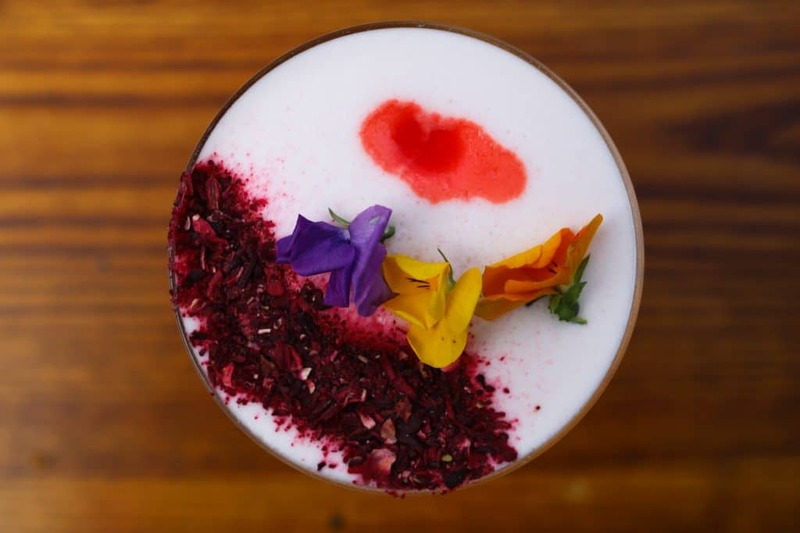 Looking for the best bars in Brighton? So you’re planning a night out in Brighton but there are so many places to choose from! With bars and drinking holes aplenty, how do you even begin to make a selection? Easy! 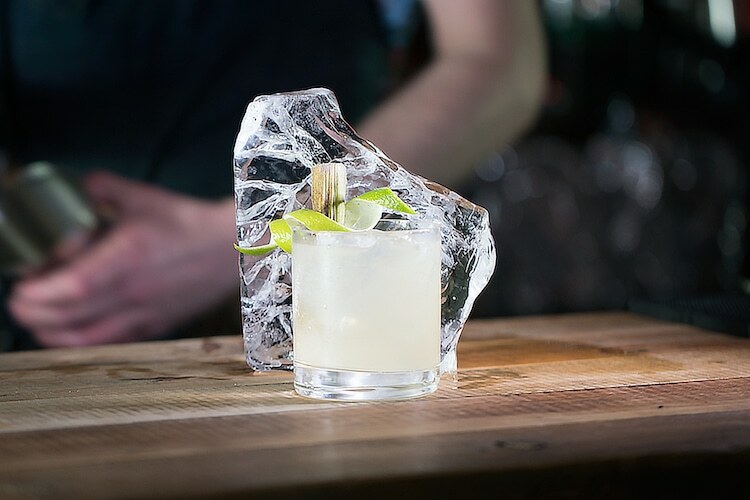 Let us do the legwork for you with our rundown of the best bars in Brighton. 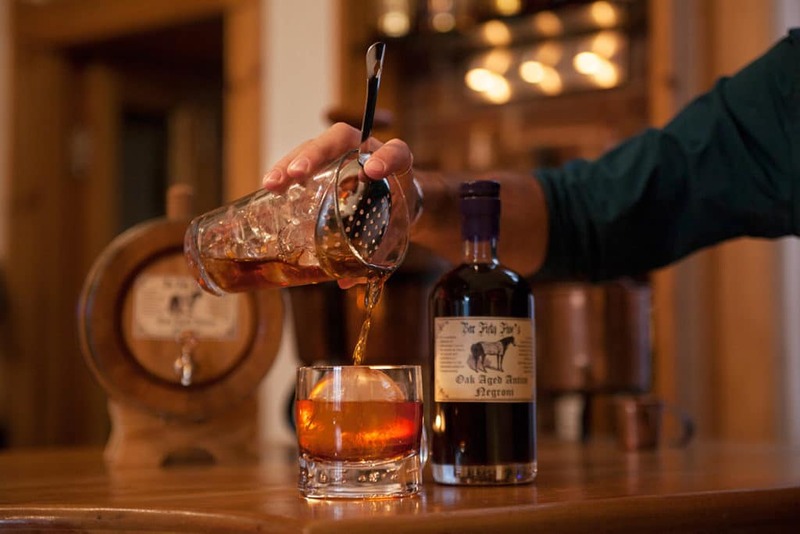 That way – you can stay focused on enjoying your favourite tipple and the quality company in these great venues – and then lastly your route home! For wine-lovers, this place has it all! Not only is it right in the centre of town in Jubilee Street but the selection is top drawer, as it doubles up as a wine shop as well as a very chic bar. Pick from the fantastic wine list or try a bottle from the shelf. Cheese, charcuterie, breads, nuts and small dishes are also available to help cleanse your palate between sips. In one of their latest videos, here is Arancha talking about summer red wines. Currently one of our favourite bars in Brighton which boasts an outstanding roof top terrace. 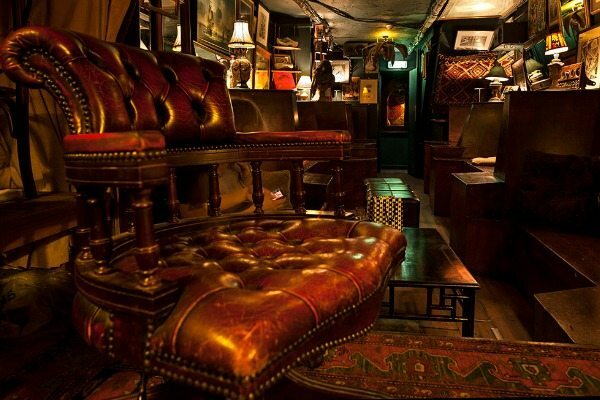 Step off the busy Kensington Garden’s in the North Laine and through a ‘secret’ door to find yourself transported to a 1920’s, prohibition inspired, bootlegger bar, L’Atelier Du Vin Brighton. Here are 7 things you need to know about L’Atelier Du Vin. 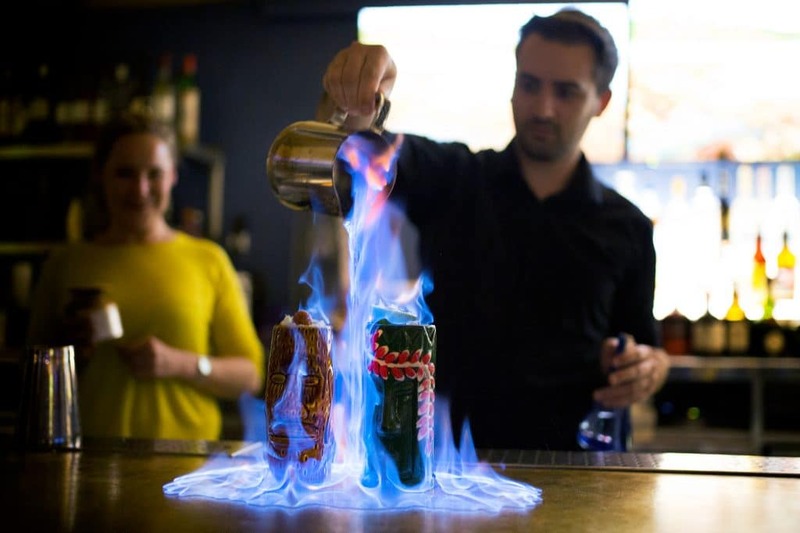 Last year GungHo bar arrived on Preston Street and has since climbed straight to the top of our must visit cocktail bars in Brighton. 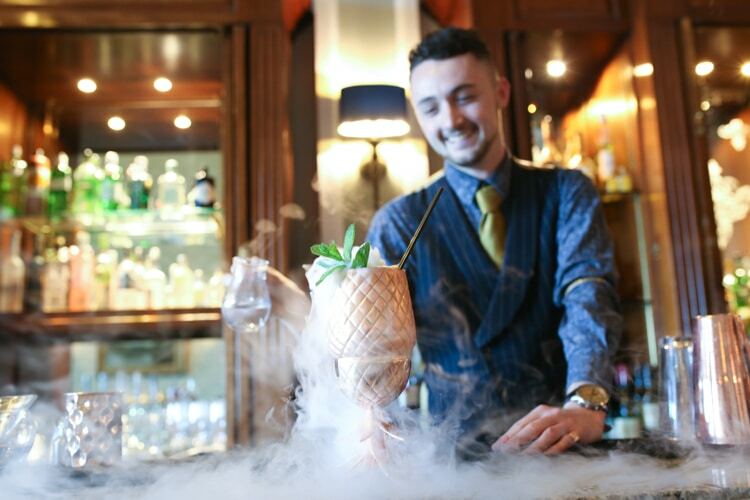 Opened and run by Julien Barnett, the bars ethos combines Julien’s passion for mixology with working to a zero waste policy. The outcome? A truly inspiring and mouthwateringly magnificent drinking journey. 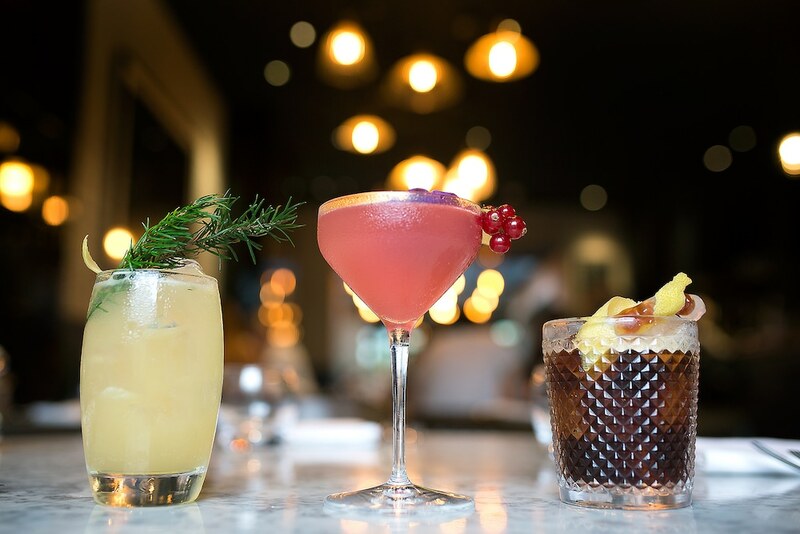 Influenced by seasonality the cocktails are often made with foraged and local ingredients championing all types of fruit and veg; from green strawberries and elderflower to chicory root and mushrooms. 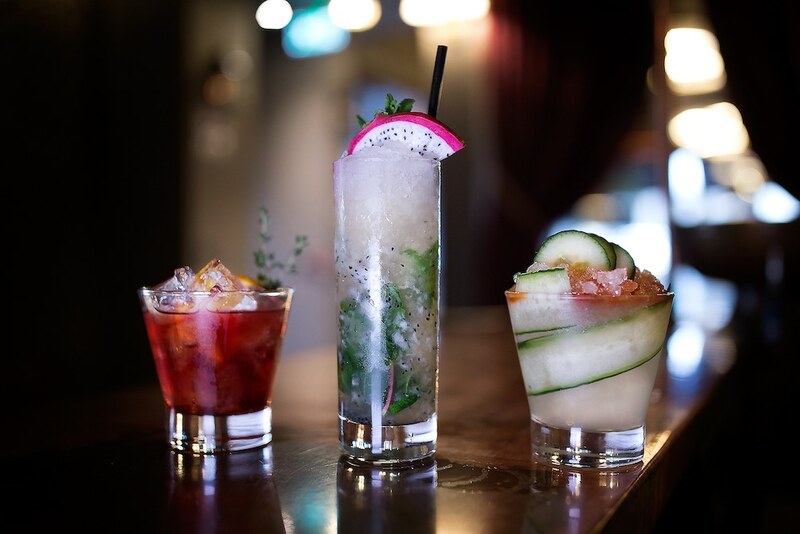 Expect vibrant, fresh and complex cocktails at GungHo. Cocktail bar, games room and generally all round stunning venue, there really isn’t any reason why Upstairs at The Joker isn’t top of everyone’s date night list. The bar is only accessible by walking through the downstairs pub, pushing open a heavy oak door and ascending upstairs. It’s almost as though you are part of an exclusive members club! 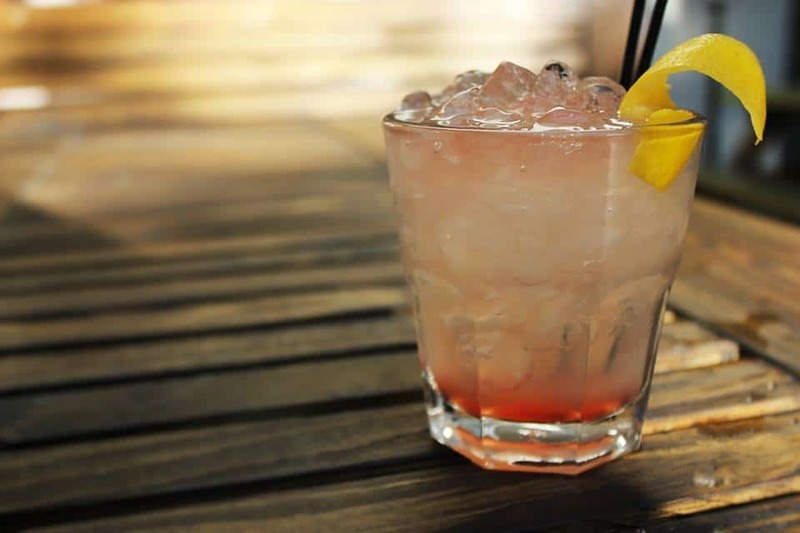 Described as traditional with a twist, the cocktail list has something for everyone. 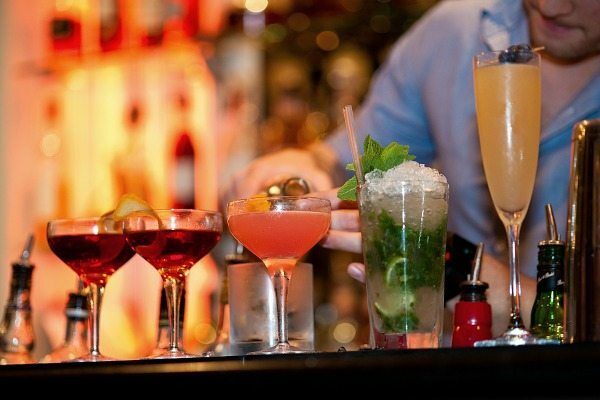 Expertly curated and mixed by the professionals, choose from six house cocktails or from a list of the classics. A local jazz artist also performs here, adding to the laid back and luxurious atmosphere that oozes from this bar. Una Bar is a hidden gem, an oasis of unique charm and personal service hidden behind the heaving epicentre of Brighton’s most commercial area, Western Road. With a sleek but relaxing and welcoming interior, this space is great for all occasions. Cocktails here are mixed to expertly developed recipes, although the team are always happy to mix to specific tastes and can even keep a record of your perfect cocktail, so that you can return to it time and again. This iconic, landmark hotel offers the finest of Brighton’s food, drinking and ambience, so it goes without saying that it’s a prime destination for a night of class and quality. Set right on the seafront, the views are stunning and the drinks and cocktail list afford you a perfect choice of your classic favourites alongside new, innovative creations. Some of the cocktails are even named after people and places in history, which makes a great talking point. Known as having one of Brighton’s best party atmospheres, No 32 has an ornate interior, an equally well-heeled and vibrant crowd and a brilliant layout. It was once a theatre and the sense of drama still prevails. 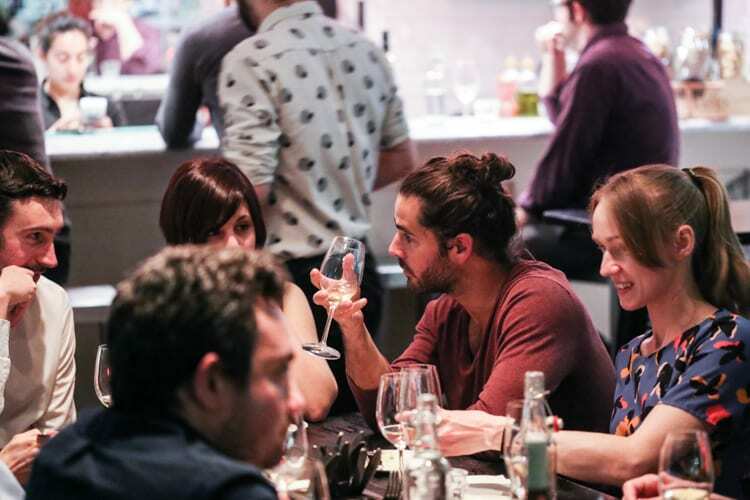 Great, show-stopping food, stunning drinks and DJs during late hours – what more could you ask for on a night out? Quality and style both reign supreme at Plateau, where the relaxed, chic French vibe creates a perfect, intimate backdrop for the fantastic selection of natural, organic and biodynamic wines and modern European food where sustainability is key. There’s less focus on red meat, more on fish and plants with some game too, sourced from local biodynamic farms. 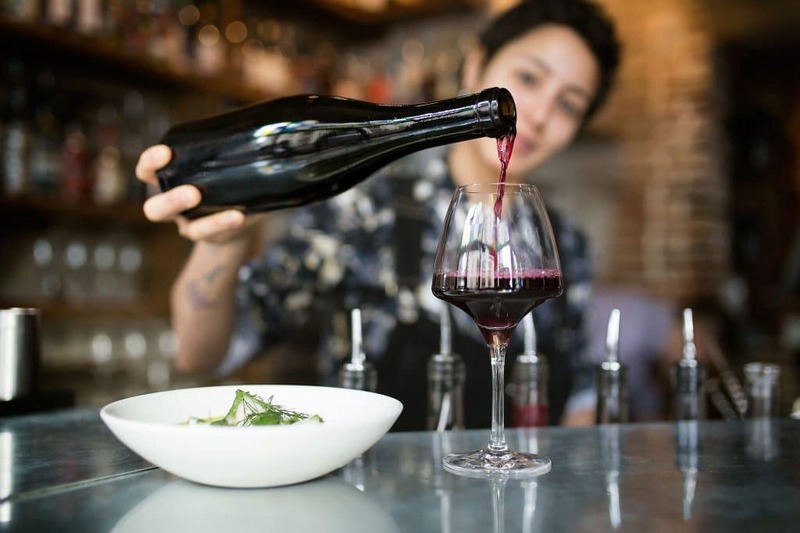 Learn more about their approach with Natural Wines just here. 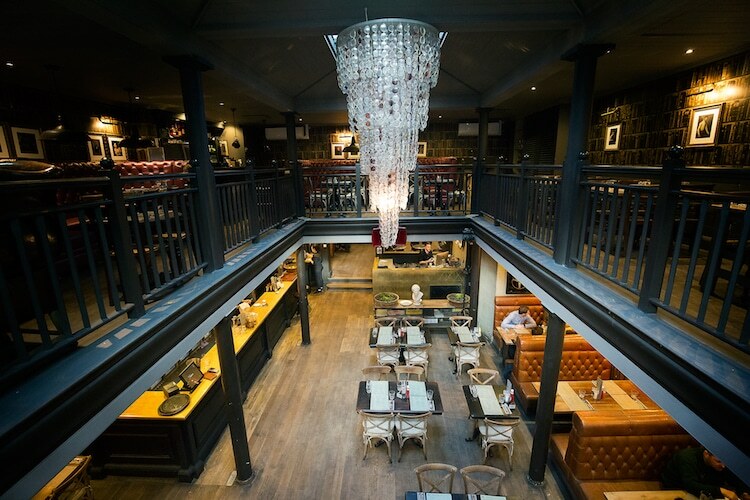 What a venue and one of the newest bars in Brighton (well Hove actually)! With two restaurants, a bar and a nightclub all under one roof in this amazing space, Third Avenue has set this part of Hove alight. 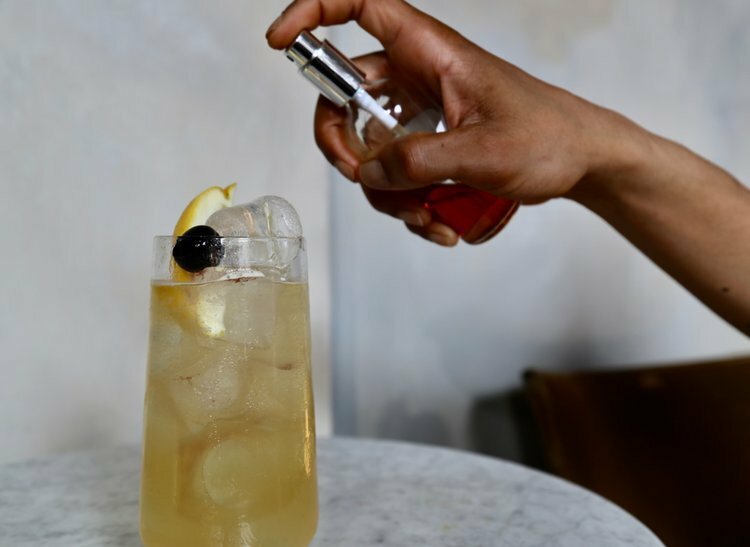 The sophisticated bar has a bit of a Manhattan members club and retro speakeasy look and feel, with whiskey making a decent appearance in not just their cocktails but also tasting “flights”, set to help give your night a good lift off. Kujira Brighton is the newest addition to the set of bright young things rejuvenating the Preston Street area of the city. As well as serving delicious Japanese food in the Robatayaki grill restaurant, Kujira also describes itself as an ‘izakaya bar’, a type of informal place to go after work for drinks and a little food. Kujira offers Japanese inspired cocktails invented by their mixologist and perfected through home made botanicals, juices and syrups, adding to the area’s growing reputation as the cocktail capital of Brighton. 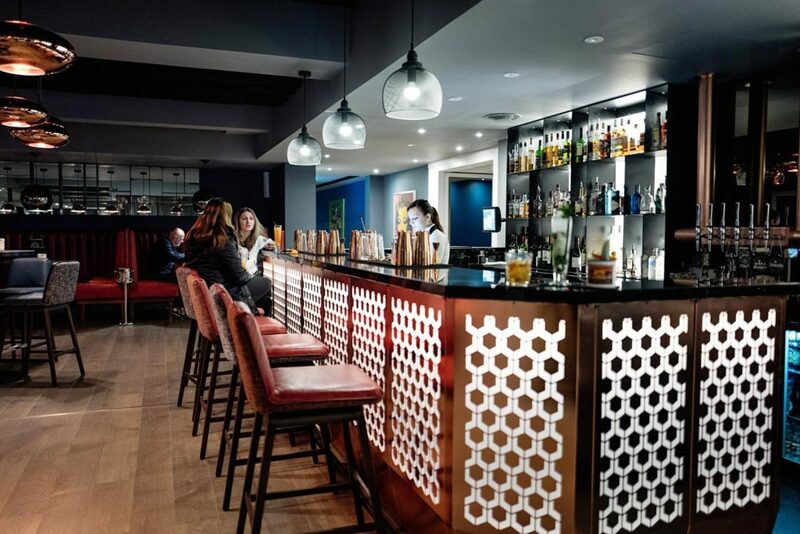 Sitting within the Jetty Restaurant in this stylish seafront hotel, HarBAR is a great destination bar run by a team of skilled mixologists that boasts ample space if you want somewhere stylish but with more room to move and chat than the bustle found in many Brighton bars. There’s a lovely wine list, microbrewery beers and well-crafted cocktails – and all come with a fantastic sea view. Away from busy central Brighton, this waterfront hotel wonder has had a fab makeover and reinvention, with funky bedrooms, superb food and a great drinks list. The view of the Marina is spectacular and the bar is relaxed and spacious, with a decking area for enjoying a sundowner in the warmer weather. 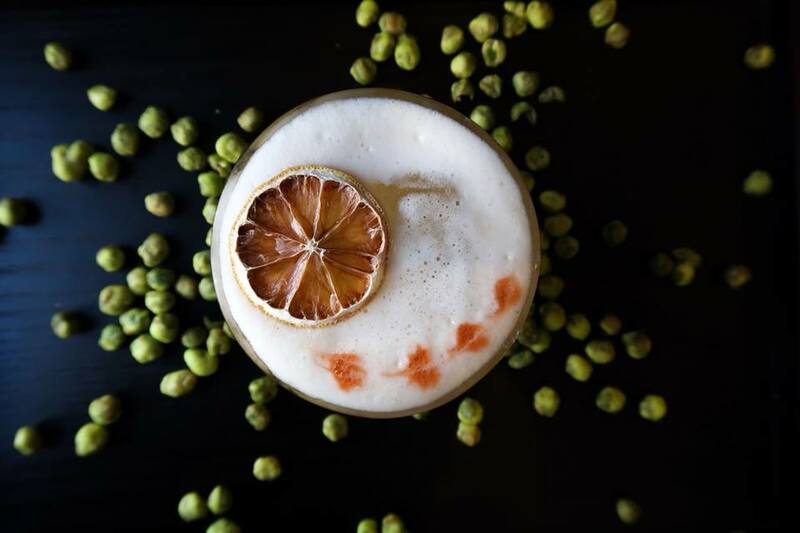 The cocktail list, called the Malchemy, pays heed to the classics while drawing inspiration from 15 cities around the country, which brings a nice twist to those traditional tastes. The name is a giveaway – they take their wine very seriously at this well-established Brighton venue! But that doesn’t mean they don’t serve other drinks too. Hotel du Vin has a quality drinks list catering to all tastes, so it’s well worth a good run-through. 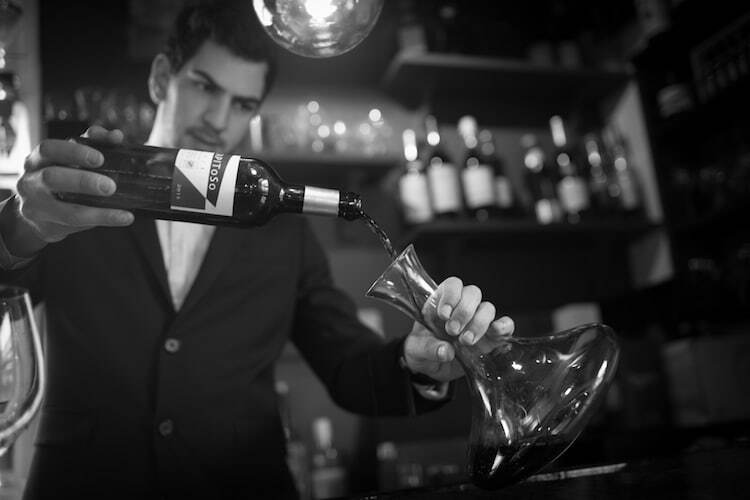 There’s an adjacent pub and a bar too, both with wines sourced from around the world, an in-house sommelier on hand to help you make the right choice, spirits of all varieties and sensational cocktails too – of course! Award-winning Drakes is renowned for its exceptional restaurant and top-notch comfort and service, but not everyone knows it also has a very fine bar open to drop-ins, not just those already dining or staying in the hotel. The black granite bar is a gorgeous backdrop to their exquisite champagne, spirits and cocktails and bartender Tom is a dab-hand at making whatever you want – he was one of the finalists in an international competition so knows what he’s doing! Brighton people love a good party, and the Black Lion has long been a popular choice for those who want to get on down and stay out late in the busy south lanes. Although it looks like more of a very old, traditional boozer from the outside – don’t be deceived, DJs and late-opening hours keep the crowds lively. Nestled in the stylish MyHotel, Merkaba has wow factor, with a stunning decor best described as futuristic, sleekly chick and hippy boho all at the same time, with huge crystals, aquariums in the walls and curvy tables in a modern urban industrial design. 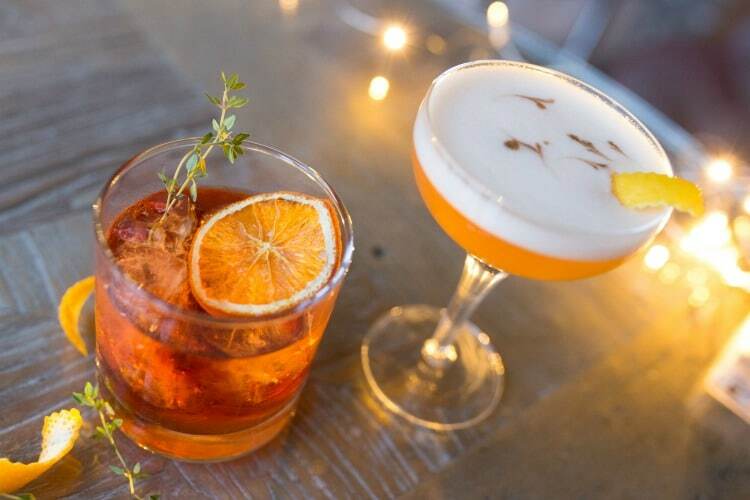 The drinks are equally well-executed, so dress to impress and enjoy every second. Winner of Brighton’s best bar in the Brighton Restaurant Awards. Tucked away from the main drag at the top of St James Street, The Black Dove can’t be missed off any list of bars in Brighton, thanks to its character, quirk and quality of drinks, atmosphere and loyal clientele. It’s quite small and compact in size, which means the always-busy tables outside are a handy addition, but don’t let the size put you off: there’s always something going on, whether that’s a DJ playing, a blues or folk band, or comedy downstairs in the snug.